GRACEPOINT School works with every family to find the appropriate educational match to ensure their child’s continued academic success. There are a number of factors to consider when determining if it is time for a student to leave GRACEPOINT. Our goal is to transition students to a mainstream public or private school as soon as possible, once we are confident they have become independent learners, and are showing academic readiness particularly in the areas of reading and writing. The outplacement team also considers self-confidence, self-advocacy, positive work habits, and study skills equally as important to your child’s future success. On average, a student’s remediation at GRACEPOINT School is three to four years. Our Curriculum Director, Head of School and teachers advise, inform, and support parents as they explore educational options for their child. Students are assessed annually for progress, and recommendations are made for the following year. For approximately a year, this team assists parents and students with applications, manages testing requirements, and prepares students for school visits and interviews. The office manages all school records and recommendations required in the application process. For students who will be attending public schools, the Outplacement Team helps navigate parents through the entry process, including the 504 Plan, and appropriate class placement. For students applying to independent schools, the Outplacement Team advocates on their behalf with admissions directors until decisions are made. If your child is in at least his or her third year at GRACEPOINT and you have questions about his or her readiness to transition to a mainstream school, please contact the Administrative Office to determine if it is time for your family to begin the outplacement process. 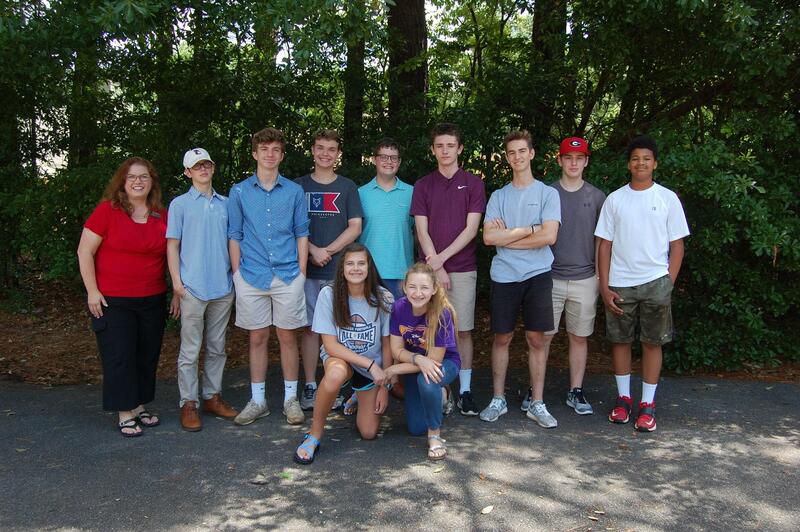 Pictured above, a group of GRACEPOINT alumni, currently attending schools including North Cobb Christian, Mt. Paran Christian, Etowah High School, and Cornerstone Prep Academy.